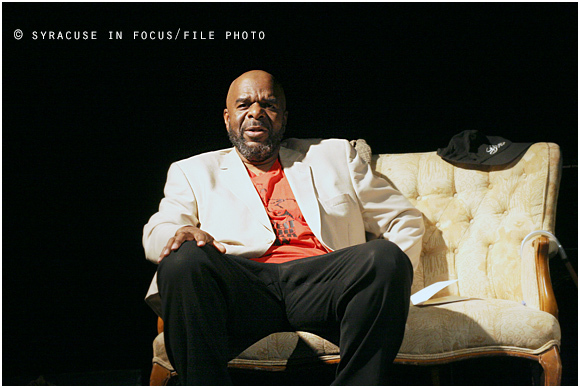 Thanks to The Paul Robeson Performing Arts Company (PRPAC) for choosing one of our photos for their most recent production. 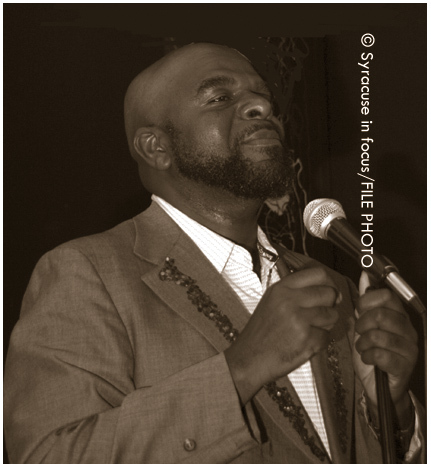 The PRPAC is producing “Mama Said There Would Be Days Like This” with Omanii Abdullah at Jazz Central. We saw a similar production when it was staged at CFAC. The shows were directed by Ryan Johnson-Travis. Keith Herring Muhammad and Brenda Muhammad, along with Focusing Our Resources for Community Enlightenment (F.O.R.C.E.) 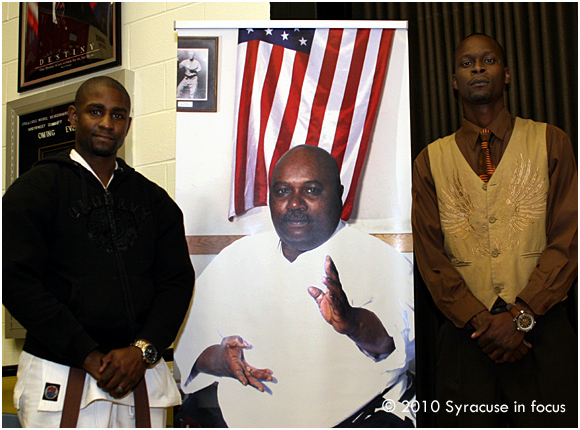 held a tribute for (Sensei) Vinson Grace on Saturday. The program included family tales, a short film, story-telling, and various martial arts demonstrations. 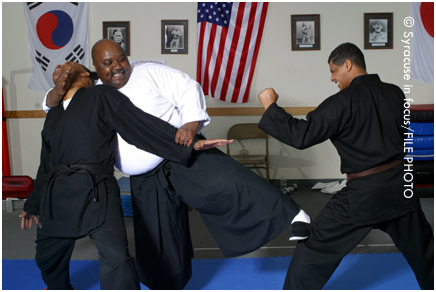 SIF Advisory Board Member John Giles (left), a 2nd degree brown belt and Robert McGriff, a black belt, began martial arts training with Grace when they were children.